Showing results by author "Thomas Nelson, Inc"
Hear God's written Word spoken, period. 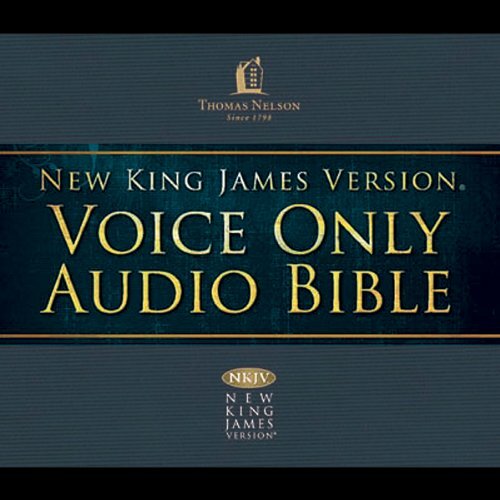 Thomas Nelson introduces the NKJV Voice Only Audio Bible. Narrated by Bob Sourer, you can hear just the Word of God, from beginning to end, Genesis to Revelation, through the voice of a master storyteller. In Luke 4:4, Jesus said, "It is written, 'Man shall not live by bread alone, but by every word of God.'" Hear the Bible come alive! This arresting world-class audio production immerses listeners in the dramatic reality of the Scriptures as never before. 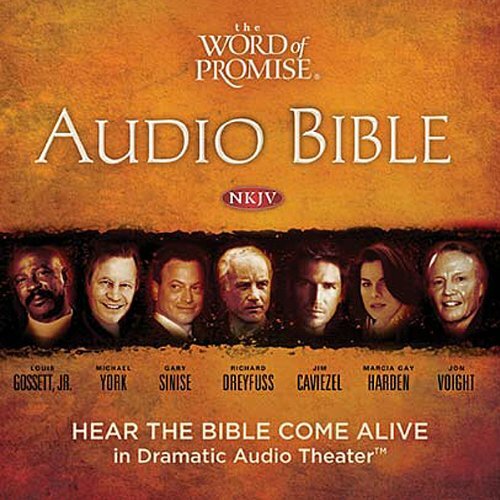 The Word of Promise New Testament Audio Bible is a 20-hour, star-studded audio Bible production. This faithful rendering of the New King James Version® presents the Bible in more than 90 hours of compelling, dramatic audio-theater format. 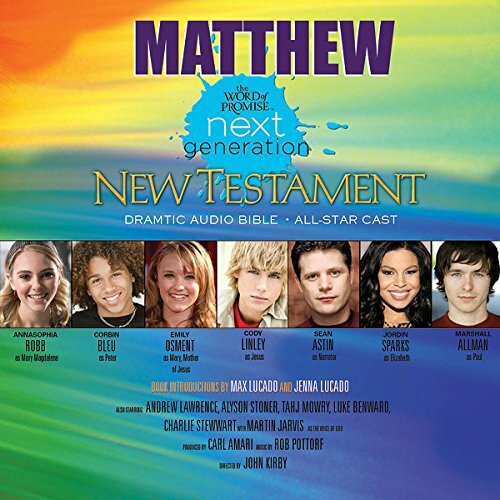 This world-class audio production immerses listeners in the dramatic reality of the Scriptures as never before, with an original music score by composer Stefano Mainetti ( Abba Pater), feature film-quality sound effects, and compelling narration by Michael York and the work of over 500 actors. This faithful rendering of the New King James Version presents the Bible in more than 90 hours of compelling, dramatic audio theater format. This world-class audio production immerses listeners in the dramatic reality of the Scriptures as never before with an original music score by composer Stefano Mainetti (Abba Pater), feature film quality sound effects, and compelling narration by Michael York and the work of over 500 actors. Today's youth ingest media at a faster rate than any previous generation. And they can't get enough! The Word of Promise Next Generation - New Testament is the perfect way for young multi-taskers to absorb scripture. This ambitious recording makes the Word accessible to more youth than ever before. Help! It won't let me go!!!!! 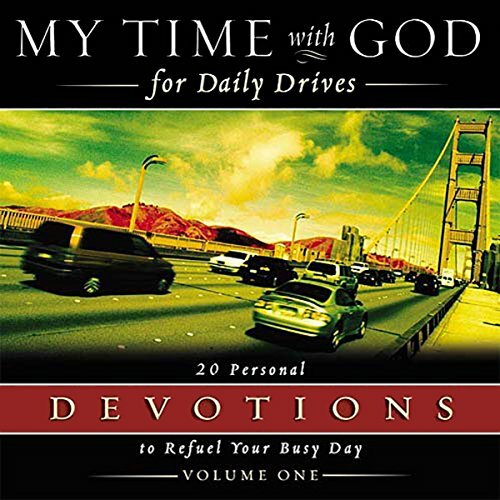 Now you can turn your daily commute into a renewing time with God. Whether you spend several hours a day in traffic or only a few minutes, My Time with God for Daily Drives provides relief from life's traffic jams and detours. Each daily reading is four minutes or less and steers your heart to God with Scripture, devotional thoughts, and inspirational closings to help you apply Scripture to daily living. It's all set to music and is the perfect way to begin or end your daily commute. Hear God's written Word spoken, period. 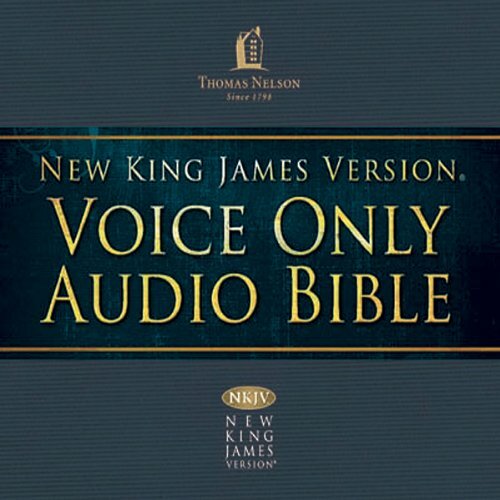 Thomas Nelson introduces the NKJV Voice Only Audio Bible. Narrated by Bob Sourer, you can hear just the Word of God, from beginning to end, Genesis - Revelation through the voice of a master storyteller. In Luke 4:4, Jesus said "It is written, 'Man shall not live by bread alone, but by every word of God." 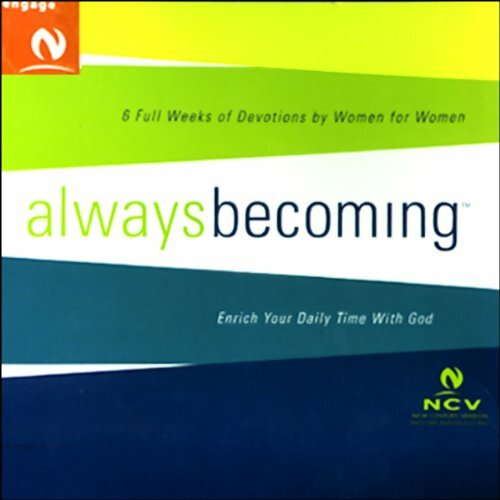 This audiobook contains 24 devotional segments of 15 minutes each. Each segment contains an inspirational thought or story, along with Scripture passages to confirm and solidify the truths presented. Contemporary music accents the readings. The devotionals are written and read by women. Each day presents a fresh format. 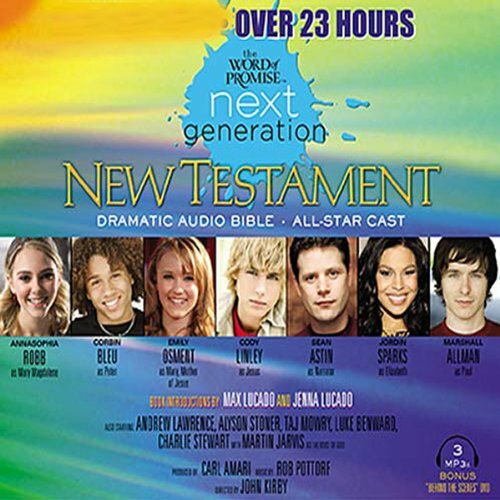 This faithful rendering of the New King James Version® presents the Bible in more than 90 hours of compelling, dramatic audio theater format.This world-class audio production immerses listeners in the dramatic reality of the Scriptures as never before with an original music score by composer Stefano Mainetti (Abba Pater), feature film quality sound effects, and compelling narration by Michael York and the work of over 500 actors. Hear God's written Word spoken! 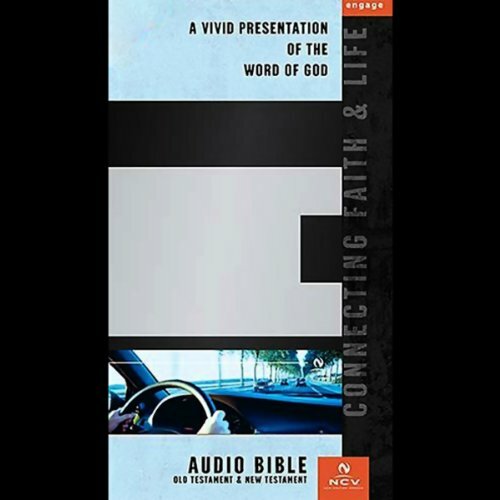 Thomas Nelson introduces the NCV Audio Bible, perfect for travel or for anyone who loves to listen to stories. Ronnie Meek, a 17-year veteran pastor with 30 years of theater experience, narrates the most wonderful book ever written. You will be uplifted and inspired through the voice of this master storyteller and the all-original music score. This faithful rendering of the New King James Version® presents the Bible in more than 90 hours of compelling, dramatic audio theater format. This world-class audio production immerses listeners in the dramatic reality of the Scriptures as never before with an original music score by composer Stefano Mainetti (Abba Pater), feature film quality sound effects, and compelling narration by Michael York and the work of over 500 actors. Best Audio Bible I have tried.